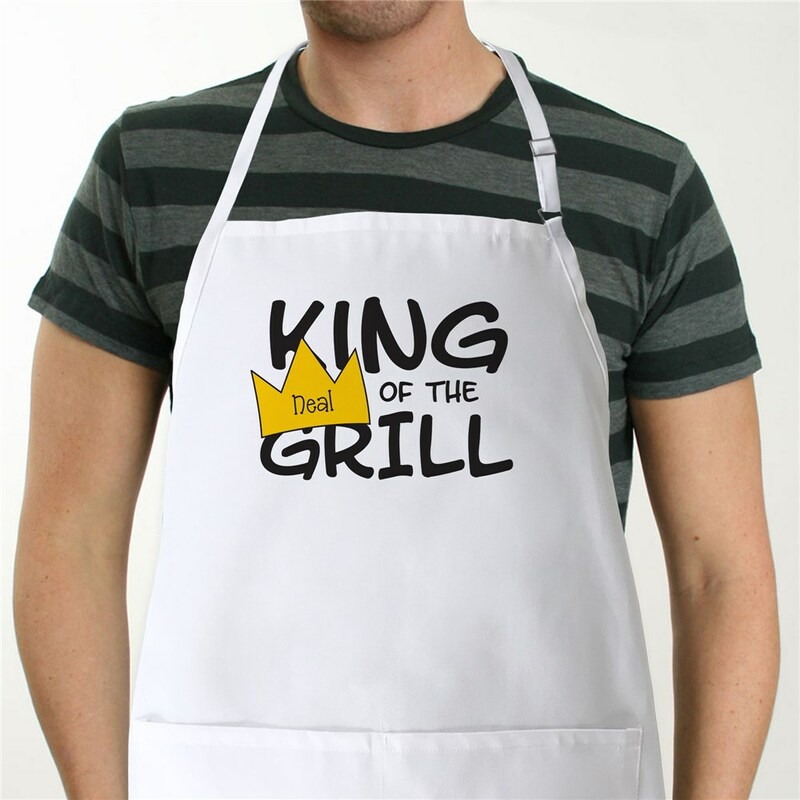 He is royalty with the grill especially while wearing our King of the Grill Personalized Aprons. Let Dad, Grandpa, Uncle or Brother show off his grilling skills with this unique apron designed just for him. Our Personalized Chef Apron is a full length, 65/35 cotton/polyester twill fabric apron with matching fabric ties. Machine washable. This custom bib apron measures 20" Wide x 30" Tall and features multiple pockets for convenient storage along with an adjustable neck strap for a comfortable fit. BBQ Grill apron includes FREE personalization! Personalize your Grilling Apron with any grillers name. It was a good value for the price, I was very amazed how quick it came! Our Personalized Grilling Aprons are great for Birthdays, BBQ's, Fourth of July, Summer, Father's Day, Valentines Day, Grandparents Day & Christmas. We are the #1 source of Personalized, Custom & Novelty Aprons. Give Dad, Grandpa or your favorite Uncle a personalized apron that proudly describes their grilling style and greatness.